You might be wondering why I’m writing about elder abuse on a financial blog, right? Unfortunately, all types of elder abuse are on the rise in lock step with our aging population -including financial abuse. 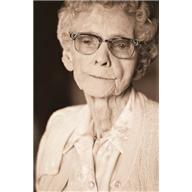 Regarding abuse of our seniors, in a study done by MetLife in 2009, only 1 in 6 cases of elder abuse is even reported. And, in dollar terms alone, the estimated losses from reported cases of elder abuse adds up to whopping $2.6 billion per year. So, what is being reported is just the tip of the iceberg. From a health care point of view the concerns are multiple. The early stages of dementia and Alzheimer’s often go undetected by friends and family members. The number of cases of Alzheimer’s in our population is on the rise. And, these cognitive diseases whether diagnosed or not diagnosed can make our seniors even more vulnerable as targets for emotional, verbal, physical and financial abuse. 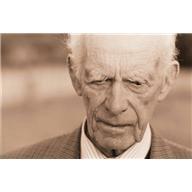 When it comes to elder financial abuse, what are some specific things that you should be on the look out for? Disaster-home repair fraud after a tornado, flood, hurricane etc. Frankly, the list is potentially endless. The ‘bad guys’ and their scams are coming after our seniors from all over the world via telephone, U. S. mail, email and the internet. And, sadly, sometimes the ‘bad guys’ come in the form of trusted care givers and family members. Jane Nowak is a CERTIFIED FINANCIAL PLANNER™ with a focus on Women’s Retirement and Financial Planning for Women. Located in Smyrna, GA, Jane’s goal is to educate and empower women to take control of their daily finances so they can fully fund their retirement dreams and needs. Jane has recently had articles quoted and published on-line at the NASDAQ, Womenetics.com, Smart Money Chicks, Fox Business, Credit Cards and Financial Planning Association websites. This entry was posted on Saturday, April 2nd, 2011 at 3:17 AM and is filed under Elder Abuse, Elder Care, Elder Financial Abuse, family finance, Financial Education, money and relationships, Personal Finance. You can follow any responses to this entry through the RSS 2.0 feed. Both comments and pings are currently closed.